Shadow of the Tomb Raider Bow! I have put together an article that documents the build of my Shadow of the Tomb Raider bow! 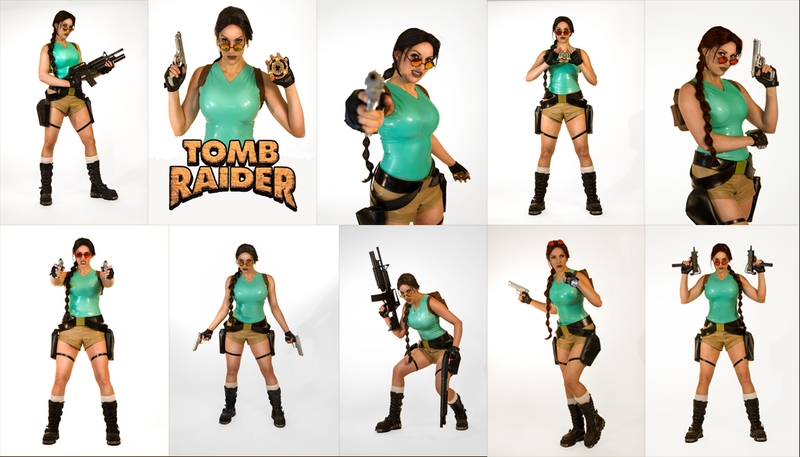 I hope this helps some of you in your quest to build the perfect Shadow Lara costume. If any of you have questions, feel free to hit me up on any of my social channels, or you can email me! Happy 20th Anniversary, Tomb Raider!! Prints Available for a Limited Time! I have opened up my Storenvy again to offer 4x6" postcard sized prints of my classic Lara photoset from February! All prints come signed. Order by March 11, prints ship out March 25th! 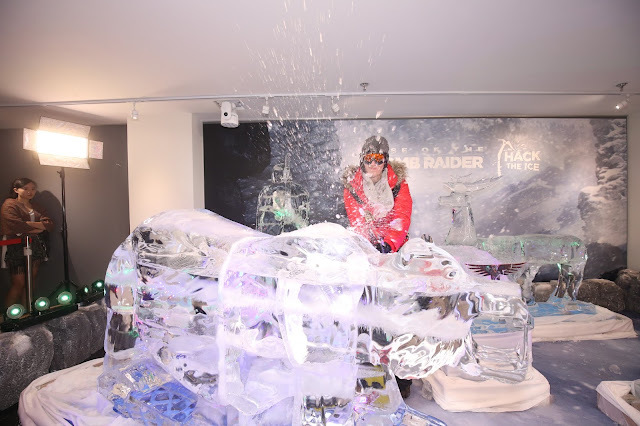 A few weeks ago I was contacted by Crystal Dynamics about an event happening in Hong Kong and that the team promoting TR in Asia had some really fun and interesting ideas that they wanted me to be a part of. My answer was "yes" before I even heard what the exact plan was. 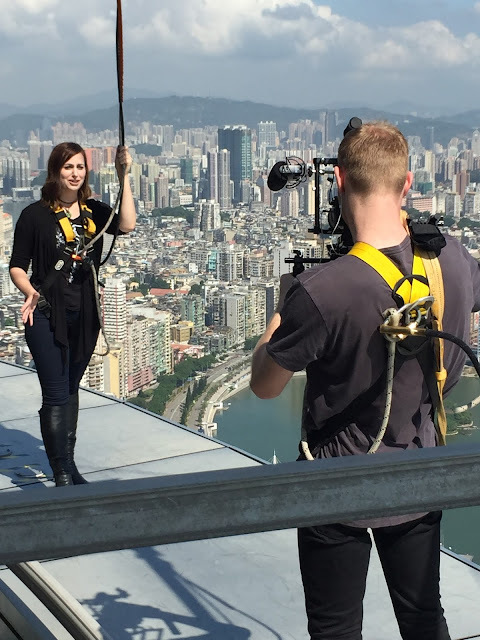 Originally the plan was to do a Lara Croft base jump from a cliff or building in Hong Kong and wanted to know more information on what I could jump as well as what is needed. As a jumper, naturally if given the choice of any building I'd choose the tallest, prettiest, most conservative building I could find. Macau Tower was perfect for that. Because of the heavy planning and permits required to pull off a legal base jump, and time was not on our side, we decided that a base jump was unlikely to happen. 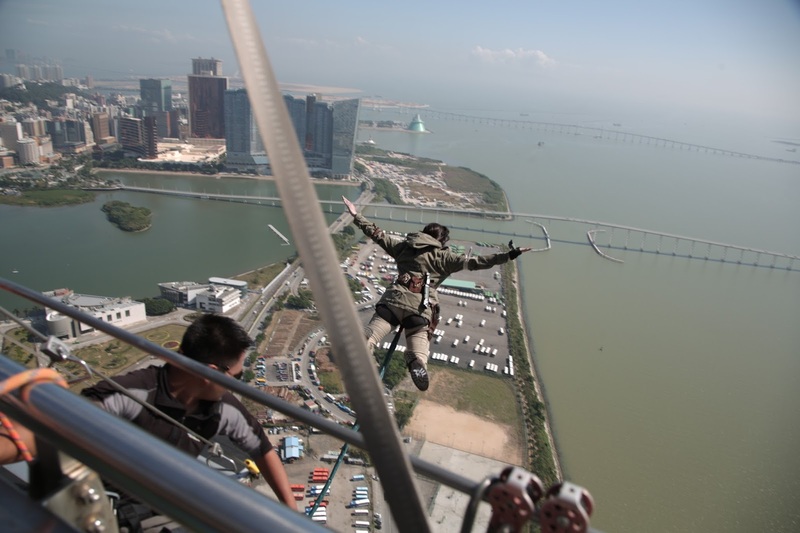 Macau Tower,however, already was equipped with a bungee operation, which would still be perfect for this stunt and so we started the plans to make that happen. A couple of weeks later, after a few conference calls and conversations with the bungy manager on exit styles, how much of the costume I could use, etc, we were all ready to set off. My trip started with the launch party event in San Francisco, where I attended in full Lara gear to take photos and mingle. The very next morning I found myself on a flight to Hong Kong with Meagan Marie. We arrived at our hotel just in time to get a good night's rest for the next day, which would be a big, big day. I was up before dawn at 5am to get sorted into all of my Lara gear and makeup. The biggest concern of mine was my wig, taking extra steps including extra pins and even glue to make sure this thing was not gonna fly off mid jump and land on the head of a spectator below. Meagan and I met up with Kumar and the rest of the pr team and set off to hop on a ferry to Macau (which I had only just learned wasn't actually a city in China but actually it's own administrative region, albeit very very small and similar to Las Vegas). One hour later we were in the beautiful Macau, with a beautiful view of the tower. When we got to the gigantic building (over 230m/750' tall), we were greeted by Adam, the manager of the AJ Hackett bungy operation at Macau Tower. Things went very quickly from there and I didn't have much time to get scared. First I had to finish putting on my blood and dirt makeup (can't go through immigration like that), and get harnessed up. Luckily their harnesses fit underneath my jacket. I then fastened the Lara accessories over the top of the jacket. Most of the stuff I had reinforced and secured to be stunt-proof, however there were some pieces that we had to tape down (such as the knife) to make sure that either they wouldn't fly off or wouldn't be able to cut any of the equipment. I was super proud that Meagan got harnessed up too and conquered her intense fear of heights by doing the sky walk on the edge of the building to film some intros. While waiting for my first jump, I even saw her hanging her legs over the edge. So it wasn't just me who was getting rigged up and having fun, a lot of the camera crew was also harnessed in and hanging on the edge of the building to get as much footage of each jump as they could. I had thought about the idea of doing aerials for the jump but in the end it was decided that the swan dive was most iconic of Lara Croft and also was an exit style most compatible with the equipment set-up, so it seemed like the best option. 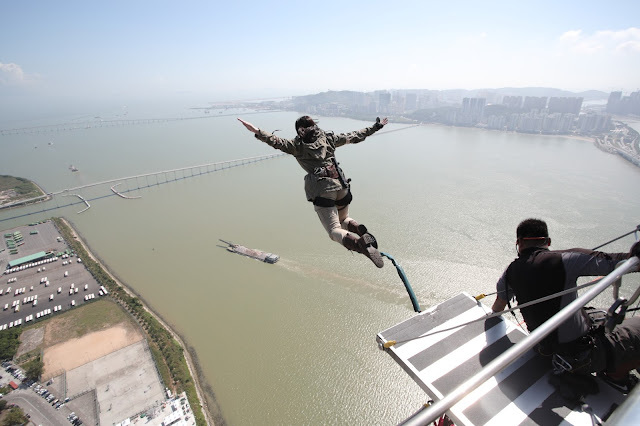 The original plan was just one bungy jump but before the first jump happened, an unsure looking Kumar asked me if I would be willing to do two. "Of COURSE! grin emoticon" was my response which seemed to surprise him. I jump, it's what I do. And having a second jump takes a lot of the pressure off me because in the freefall world, sometimes it takes more than one jump to get great footage. If I somehow tripped or screwed up the jump another way, we'd still have a second go. Finally the time for the jump came and feeling the enormous weight of the bungy pulling me forward, the countdown happened and I tried to just focus on keeping my head up to the horizon and holding the position as long as I could. Then I ran off the platform. I was a bit surprised at how quickly I went head down and flipped over. The bungy stretch was huuuuuge. Then I remembered that I had a go pro mounted on my wrist and started aiming it at different angles. After looking at the footage from the first jump, I was a bit disappointed to see that I did an exit more similar to a base jumping exit. 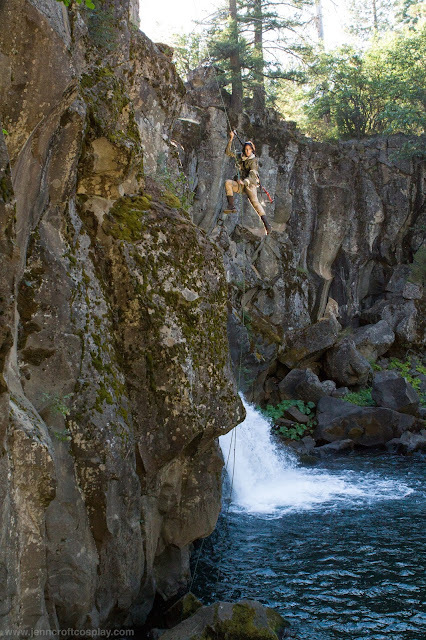 The next jump I committed to keeping my legs straight and my torso more upright to more closely mimic the jump Lara does in the games, screaming "TOMB RAIDER!" as I exited the platform. "So this is what Lara feels when she does this.." is what I thought as I began my moment of complete weightlessness. When you step off the platform, the air feels kinda mushy and it's hard to control your body position. You also get this feeling of being simultaneously weightless yet incredibly heavy at the same time. 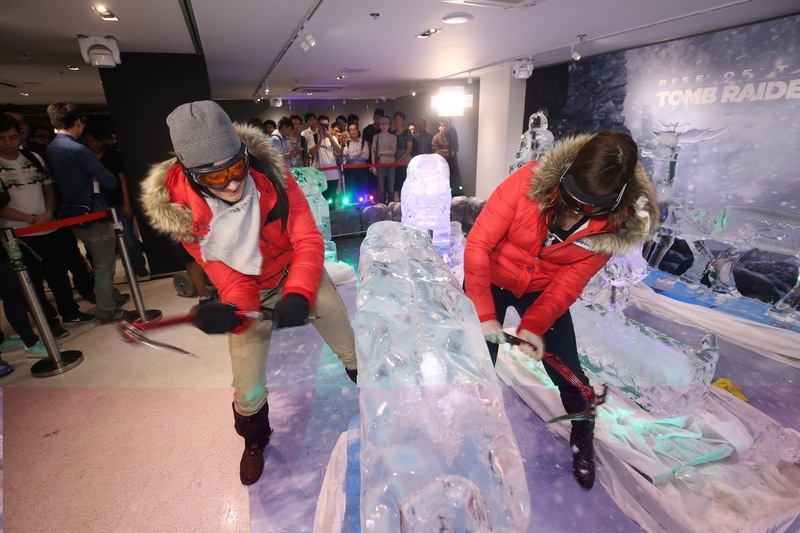 After the jumps were completed and I and the rest of the team were recovering from an adrenaline rush, we had to quickly move on to catch the ferry back to Macau and head to the venue where we did the livestream for Hack The Ice. 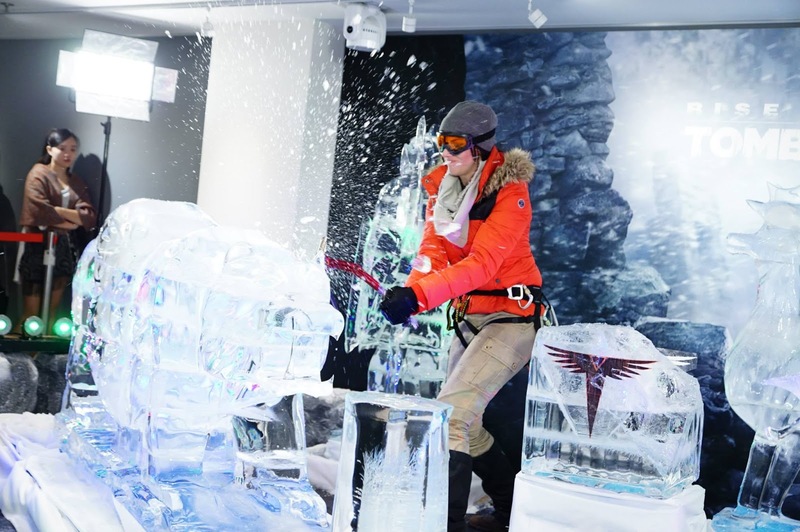 The Hack The Ice event was a lot of fun. Meagan played a demo of the game and in between levels we did giveaways where people posted questions on social media and Meagan answered them. The question also included a request as to which sculpture to hack away at. Inside each sculpture was an artifact with a prize listed on the back. My practice block. 60 hacks didn't do much to it, apparently. When we first got to the venue, I was given my own little ice block to practice swings on. It took over 60 swings to break it so there was a bit of uncertainty as to whether the actual sculptures would be this hard to break and thought of some ideas of what to do should these sculptures behave more like steel than frozen water. The first sculpture shattered in one shot. 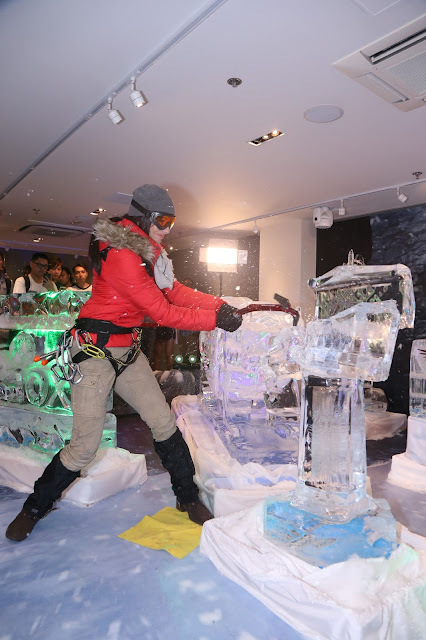 By the time the event started, however, the sculptures had melted enough so that they were a lot easier to break. In fact, I had expected the first sculpture to be a lot tougher than it was and ended up shattering it in one blow. Other sculptures, though, were a lot more of a challenge and took a few minutes to get to the middle. The wolf ended up being my hardest challenge. 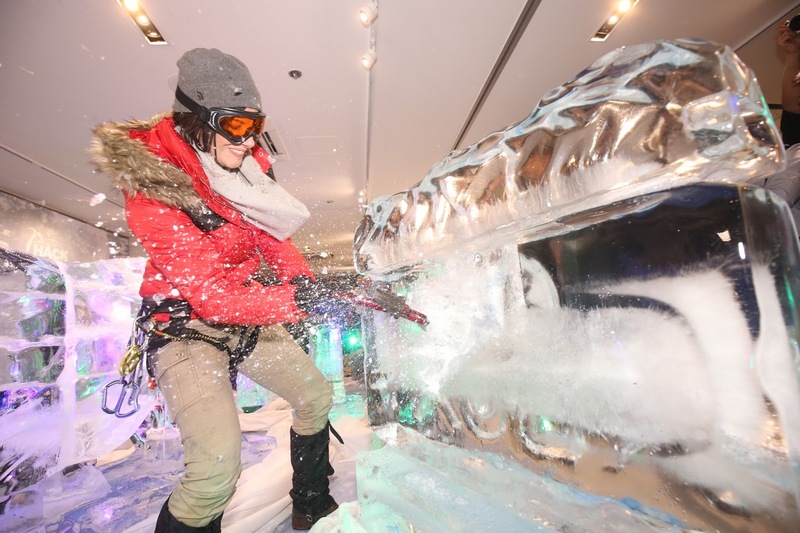 Turns out when you hack at ice sculptures, a lot of chunks fly everywhere. These guys didn't seem bothered by that. Towards the end, Meagan Marie was kind enough to lend me a hand and help finish off the rest of the sculptures. Meagan proved to be the better raider during this block when she got to the artifact first. It was a day that was pretty full-on but everyone had a blast and was incredibly happy with the way things went. 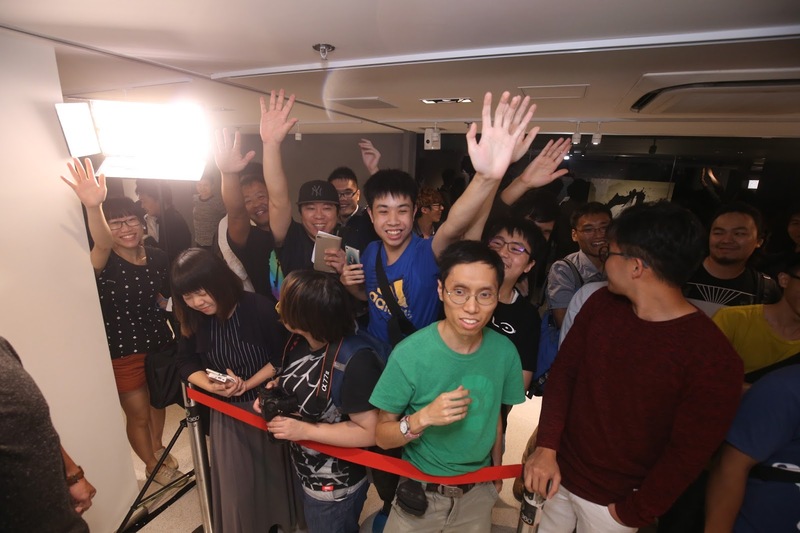 The teams in Hong Kong as well as the Australian crew were incredibly organized, helpful, and professional as well as fun to be around. I had such a great time and felt so incredibly honored to be a part of this trip. 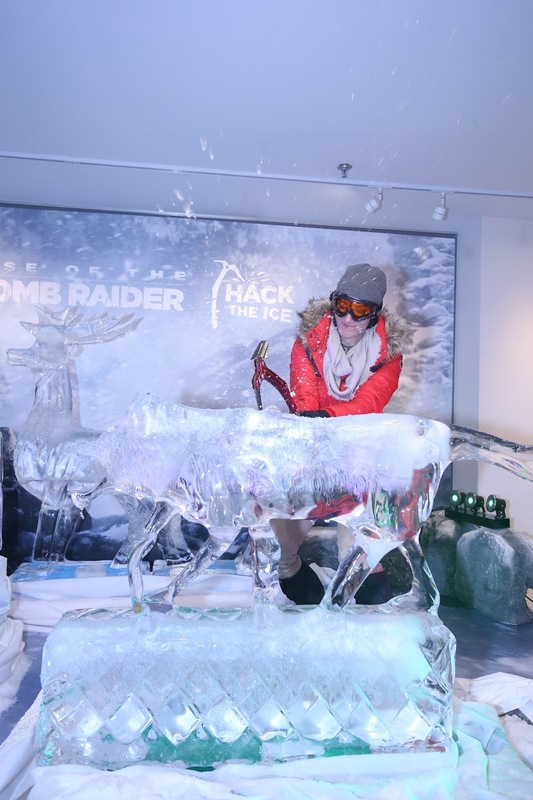 A huge thank you to Meagan and Crystal Dynamics, Kumar of The Spaceship Logic, and Adam and the rest of the team at AJ Hackett for making this happen and being so awesome to work with. 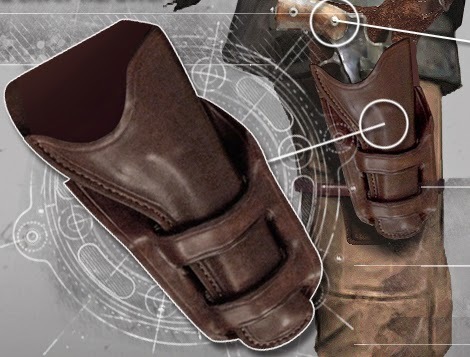 Rise of the Tomb Raider Holster Build Guide! Want to learn how I made my Rise of the Tomb Raider gunbelt/holster? Click here or on one of the pictures below! I have just published the next tutorial in my series of Rise of the Tomb Raider Costume Build notes! Learn how to make this shotgun ammo pouch by clicking here or on one of the pictures below. 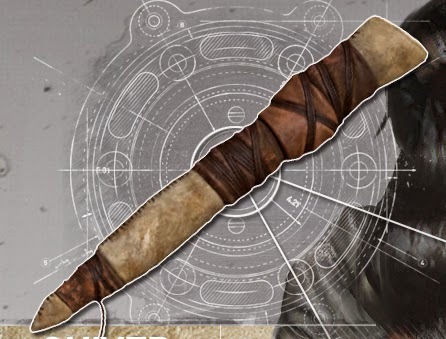 Want to learn how to make this quiver from Lara's arsenal in the upcoming game, Rise of the Tomb Raider? Click the image below! 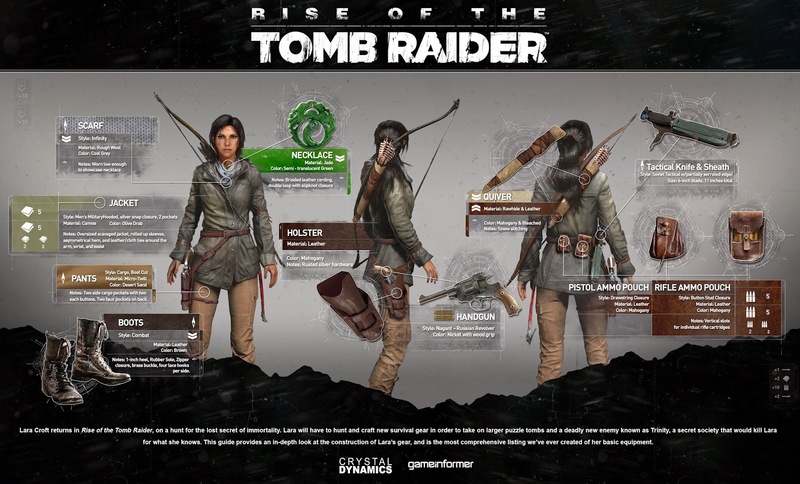 New Rise of the Tomb Raider Gear Tutorial page! 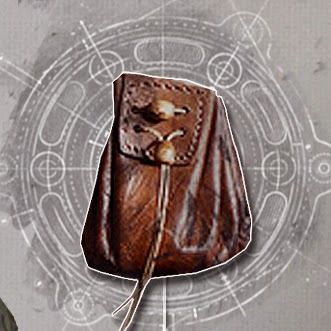 I have started posting my Rise of the Tomb Raider gear guides! You will find notes and pictures on how I made each piece. Click the top photo to go to the ROTTR Gear Guide homepage or click the bottom picture to go straight to the first tutorial!